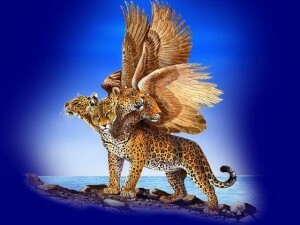 In the following preterist commentary on Daniel 7, Daniel sees a vision of four beasts representing four empires. 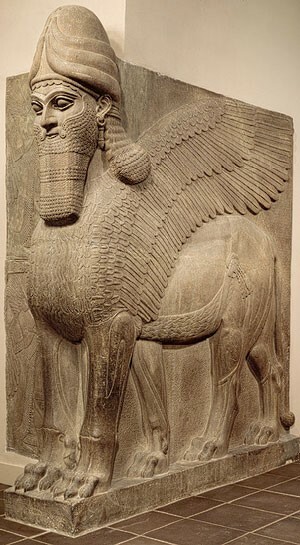 The first beast represents the Babylonian Empire; the second, the Medo-Persian Empire; the third, the Greek Empire; and the fourth, the Roman Empire. The fourth beast representing Rome has ten horns representing the zealot leaders of the Jewish Revolt (Wars 2.20.3-4). The little horn that comes up “after” the ten in Daniel 7:24 that is “different” from the first ten is the eleventh horn and also the eleventh Caesar—Titus. Titus is said to be “different” from the first ten horns in v. 24 because he is Roman whereas the previous ten are Jewish. At the start of the Jewish revolt Titus was just a general of the Roman army, thus he was just a “little” horn or king. However, at the start of the siege of Jerusalem in A.D. 70, Titus had been given the title Caesar and was named Vespasian’s successor. Here one can see how this little horn then grew in prominence in fulfillment of v. 20. The three horns that are subdued before this once “little” horn are the three remaining Zealot leaders of the Jewish Revolt who at the start of siege of Jerusalem where in a three-way battle over who would rule the city and lead the rebellion: John, Simon and Eleazar. Each of these three men were either killed or imprisoned during or shortly after the siege under Titus’ command. Here one can see how Titus, the little horn, was different from the earlier horns and yet subdued three of these horns. 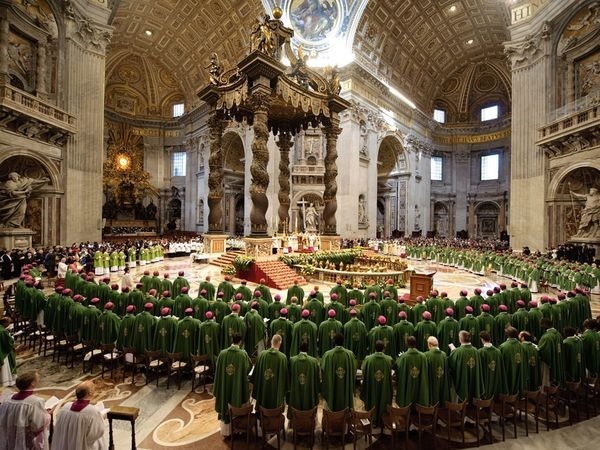 Concerning the eleventh horn, Titus, Daniel 7:25 warns, “The saints will be handed over to him for a time, times and half a time.” Immediately before Vespasian and Titus were crowned Caesar, they together led the Roman army in its war against Israel. “A time, times and half a time” is three and a half years, the interval between the arrival of Titus and Vespasian in Israel to lead the Roman legions to the fall of Jerusalem in A.D. 70. The Babylonian Talmud records the many blasphemous things Titus said and did against the God of Israel in Fulfillment of v. 25: “He will speak against the Most High.” Furthermore, before Jerusalem fell, the Romans worshiped Titus and his father Vespasian in the holy Temple before Titus had it completely demolished in A.D. 70. By this act Titus was directly responsible for putting an end to the practice of the Law of Moses forever fulfilling the rest of Daniel 7:25: “[He will] change the set times and the laws [of Moses].” Titus and Vespasian also allowed the equivalent of a new Sanhedrin to be established in Yavneh. This new Sanhedrin was responsible for matters of the Law and fixing the holy calendar. In this way, Titus also tried “to change the set times and the laws.” For a detailed explanation of the literal fulfillment of every detail of every verse in this chapter see the following commentary on Daniel 7. “In my vision at night I looked, and there before me were the four winds of heaven churning up the great sea. 3Four great beasts, each different from the others, came up out of the sea. 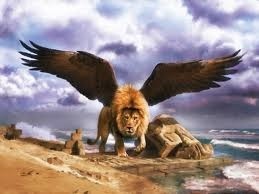 4“The first was like a lion, and it had the wings of an eagle. I watched until its wings were torn off and it was lifted from the ground so that it stood on two feet like a man, and the heart of a man was given to it. 5“And there before me was a second beast, which looked like a bear. 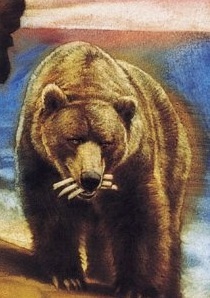 It was raised up on one of its sides, and it had three ribs in its mouth between its teeth. It was told, ‘Get up and eat your fill of flesh!’ 6“After that, I looked, and there before me was another beast, one that looked like a leopard. And on its back it had four wings like those of a bird. This beast had four heads, and it was given authority to rule. 7“After that, in my vision at night I looked, and there before me was a fourth beast—terrifying and frightening and very powerful. It had large iron teeth; it crushed and devoured its victims and trampled underfoot whatever was left. It was different from all the former beasts, and it had ten horns. 8“While I was thinking about the horns, there before me was another horn, a little one, which came up among them; and three of the first horns were uprooted before it. This horn had eyes like the eyes of a man and a mouth that spoke boastfully. 9“As I looked, “thrones were set in place, and the Ancient of Days took his seat. His clothing was as white as snow; the hair of his head was white like wool. His throne was flaming with fire, and its wheels were all ablaze. 10A river of fire was flowing, coming out from before him. Thousands upon thousands attended him; ten thousand times ten thousand stood before him. The court was seated, and the books were opened. 11“Then I continued to watch because of the boastful words the horn was speaking. I kept looking until the beast was slain and its body destroyed and thrown into the blazing fire. 12(The other beasts had been stripped of their authority, but were allowed to live for a period of time.) 13“In my vision at night I looked, and there before me was one like a son of man, coming with the clouds of heaven. He approached the Ancient of Days and was led into his presence. 14He was given authority, glory and sovereign power; all peoples, nations and men of every language worshipped him. His dominion is an everlasting dominion that will not pass away, and his kingdom is one that will never be destroyed. 15“I, Daniel, was troubled in spirit, and the visions that passed through my mind disturbed me. 16I approached one of those standing there and asked him the true meaning of all this. “So he told me and gave me the interpretation of these things: 17‘The four great beasts are four kingdoms that will rise from the earth. Daniel 7:3 A Preterist Commentary: The Four Beasts are Four Empires. 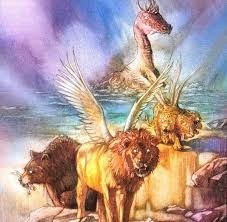 The four beasts in Daniel’s vision symbolize the four Gentile empires that had conquered Israel before the arrival of the kingdom of God. According to v. 3 all four beasts rose-up out of the sea. In this chapter, as is also the case in the Book of Revelation, sea is used to symbolize the Gentile world (Revelation 17:15). See In the Bible “Earth” Signifies the Specific Land Addressed While “Sea” Symbolizes Foreign Nations. Daniel 7:4 A Preterist Commentary: The First Beast is the Babylonian Empire. The first is a lion with wings. This beast is a cherub or lamassu, and it represents the then present empire, Babylon. Cherubs were often depicted as winged bulls or lions that stood guard at the entrances of temples in ancient Mesopotamia. Ancient Jews used this term to describe those angels that stood in the presence of God (Isaiah 37:16, Ezekiel 9:3). In Daniel’s vision the cherub or lamassu becomes a man. Daniel 7:5 A Preterist Commentary: The Second Beast is the Medo-Persian Empire. Many interpreters see the four beasts of Daniel 7 as Babylon, Media, Persia and ultimately Greece. I disagree. I do not think that the Medo-Persian Empire should be divided into two separate empires. The Medes and Persians were allies that together toppled the Babylonian Empire. In Daniel 8 the prophet sees a vision of a two-horned ram defeated by a one-horned goat representing Greece. The angel Gabriel interprets this vision for Daniel. And in Daniel 8:20 says that the two horns of the ram represent “the kings of Media and Persia.” If these two allies are represented by the two horns of one animal in Daniel 8, why would Daniel represent the Medes and Persians as two different animals in Daniel 7? Daniel 7:6 A Preterist Commentary: The Third Beast is the Greek Empire. Daniel 7:7 A Preterist Commentary: The Fourth Beast is the Roman Empire. Described in greater detail in the Book of Revelation, the fourth empire is Rome, the seven-headed leviathan. As is echoed in Daniel 2, these kingdoms are supplanted by a fifth kingdom. Verses 11 and 12 predict the death of this beast at the establishment of the fifth kingdom (see The Historical Appearance of Christ at the Death of the Beast Fulfills 2 Thessalonians 2:8 and Revelation 19:19-20). Daniel 7:13-14 A Preterist Commentary: The Fifth Kingdom is the Messianic Kingdom. What is the Messianic Kingdom according to the Bible? At the coming of the fifth kingdom, Daniel foresees the heavenly coronation of the Jewish Messiah. The kingdom that Christ receives in Daniel 7:13-14 is the fifth kingdom–the Messianic kingdom. In the first century, the Messianic kingdom was believed to be an empire centered in Jerusalem that would extend throughout the known world. Throughout the Gospels, Jesus describes his kingdom, the Messianic kingdom, under the cryptic guise of the kingdom of God and the kingdom of heaven.4 Jesus gave His kingdom, the Messianic kingdom, these ambiguous titles because to speak openly and explicitly about the Messianic kingdom in Israel in the first century could mean instant death to both him and his followers. The client king, King Herod, and the Roman procurator, Pontius Pilate, would certainly never tolerate a rival to their throne nor would Tiberius Caesar whose authority was also threatened if the Messiah extended his kingdom throughout the world. First century Israelites were correct. The Messianic kingdom was to be a world-wide kingdom centered in Jerusalem. However, what they did not know was that the throne of this kingdom was not in the Jerusalem on earth. The throne of this kingdom was to be in the Jerusalem that is in heaven. Galatians 4:26 states, “But the Jerusalem that is above is free, and she is our mother.” Hebrews 12:22 says, “But you have come to Mount Zion, to the city of the living God, the heavenly Jerusalem. You have come to thousands upon thousands of angels in joyful assembly.” Notice that in Daniel 7:13-14 Jesus receives his kingdom in heaven, not on earth. The fact that Christ rules from a heavenly throne is pictured in Acts 8:55-56. Here Stephen sees Christ standing at the right hand of the Father in heaven. Da Cortona, Pietro. 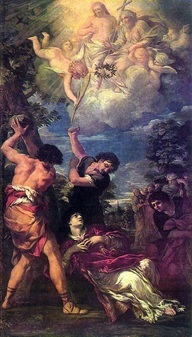 Martyrdom of Saint Stephen. 1660. Hermitage Museum. Now having been questioned by the Pharisees as to when the kingdom of God was coming, He answered them and said, “The kingdom of God is not coming with signs to be observed; nor will they say, ‘Look, here it is!’ or, ‘There it is!’ For behold, the kingdom of God is in your midst [is among you]. Therefore Pilate entered again into the Praetorium, and summoned Jesus and said to Him, “Are You the King of the Jews?” Jesus answered, “Are you saying this on your own initiative, or did others tell you about Me?” Pilate answered, “I am not a Jew, am I? Your own nation and the chief priests delivered You to me; what have You done?” Jesus answered, “My kingdom is not of this world. If My kingdom were of this world, then My servants would be fighting so that I would not be handed over to the Jews; but as it is, My kingdom is not of this realm.” Therefore Pilate said to Him, “So You are a king?” Jesus answered, “You say correctly that I am a king. For this I have been born, and for this I have come into the world, to testify to the truth. In the verses above, Jesus implies that his kingdom, the Messianic kingdom also known as the kingdom of heaven, is centered in heaven. 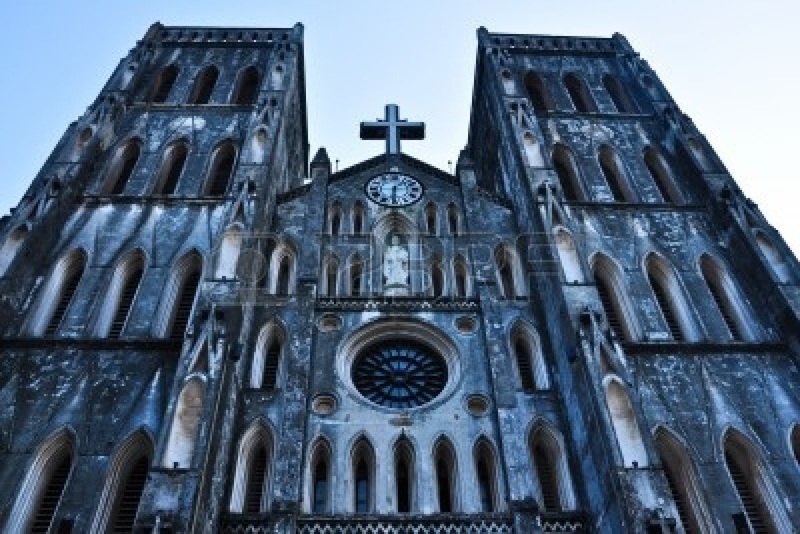 The fifth kingdom mentioned in Daniel 7:13-14 is this kingdom centered in heaven that also extends to the earth below in the form of the Christian church, the kingdom of heaven on earth. But the fifth kingdom, the Messianic Kingdom also known as the kingdom of heaven, also exists on earth with the saints who are destined for heaven after death (Luke 17:20-21). As will be explained in detail below, the rule of the saints was not limited to heaven, it also spread to the earth with the Christianization of Israel and the rest of the Roman Empire. A Covenant Eschatology Exposition and Commentary of Daniel 7:13-14: Was Daniel 7:13-14 Fulfilled during the Ascension or the Parousia? “In my vision at night I looked, and there before me was one like a son of man, coming with the clouds of heaven. He approached the Ancient of Days and was led into his presence. He was given authority, glory and sovereign power; all peoples, nations and men of every language worshipped him. His dominion is an everlasting dominion that will not pass away, and his kingdom is one that will never be destroyed. 18But the saints of the Most High will receive the kingdom and will posses it forever—yes, for ever and ever.’ 19“Then I wanted to know the true meaning of the fourth beast, which was different from all the others and most terrifying, with its iron teeth and bronze claws—the beast that crushed and devoured its victims and trampled underfoot whatever was left. 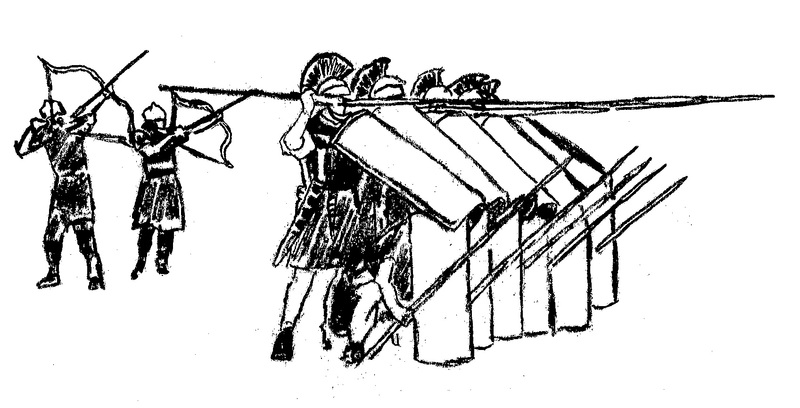 Preterist View, Interpretation and Commentary of Daniel 7:19: Roman Weaponry was made of Iron. The Iron Teeth of v. 19 symbolize Spears and Arrows as indicated in Psalms 57:4. 20I also wanted to know about the ten horns on its head and about the other horn that came up, before which three of them fell—the horn that looked more imposing than the others and that had eyes and a mouth that spoke boastfully. 21As I watched, this horn was waging war against the saints and defeating them, 22until the Ancient of Days came and pronounced judgment in favor of the saints of the Most High, and the time came when they possessed the kingdom. 23“He gave me this explanation: ‘This fourth beast is a fourth kingdom that will appear on earth. It will be different from all the other kingdoms and will devour the whole earth, trampling it down and crushing it. 24The ten horns are ten kings who will come from this kingdom. After them another king will arise, different from the earlier ones; he will subdue three kings. Preterism Explained and Interpreted, A Commentary of Daniel 7:20-24: The Ten Horns are the Ten Zealot Rulers Appointed Over Israel at the Start of the Jewish Revolt. Not all of these ten horns survived until the end of the war, some were killed and replaced and one, Josephus b. Matthias, defected to the Romans. This is the same Josephus who wrote a first-hand account of this war in Wars of the Jews. A Preterist Commentary and Explanation of Daniel 7:20-24: The Little Horn that Comes Up Before These Ten Horns “That is Different From the Earlier Ones” is Titus Who is Different Because He was Roman, Not a Jew like the Previous Ten Horns Who Began to Rule About Three Months Before Titus Arrived in Israel with the Roman Legions. A Preterist Commentary and Explanation of Daniel 7:24: The Three Horns Who are Subdued Before the Little Horn, Titus, are the Three Remaining Jewish Leaders of Jerusalem Before Titus Captured the City: John, Simon and Eleazar. If the little horn is Titus, then who are the three kings or horns who are subdued by this eleventh horn? Let us look at Daniel 7:24 again: “After them another king will arise, different from the earlier ones; he will subdue three kings.” As stated above, throughout the course of the Jewish revolt Titus grew in prominence from general in A.D. 67 to Caesar at the end of A.D. 69. This growth in power corresponded exactly with the uprooting (Daniel 7:8) or subduing (Daniel 7:24) of the previous three horns. After being appointed Caesar and successor to Vespasian in A.D. 69, Vespasian sent Titus back to Palestine in A.D. 70 to crush the rebellion in Jerusalem, what appeared then to be the last Zealot stronghold of the war. During the siege of Jerusalem Caesar Titus was appointed general over the entire Roman army in Israel. When Titus arrived around March of A.D. 70, Jerusalem was in a state of three-way civil war during which three of the ten remaining kings or horns were engaged in battle for supremacy over the city. These three Jewish kings/generals or horns were Simon b. Giora, John of Gischala and Eleazar b. Simon.10 Eleazar controlled the Temple, Simon held the upper and much of the lower city while John controlled what was left. These are the three horns who were uprooted or subdued by Titus, the little horn, as Titus soon captured Jerusalem after a five month siege and these three men were either imprisoned or killed during and after this siege. Preterism Explained and Interpreted, A Commentary of Daniel 7:20-24: These Ten Horns May Also Be Ten Caesars as Vespasian was the Tenth Caesar and Titus; the Little Horn, the Eleventh. Though the toes of the statute of Daniel 2 are never stated to be equivalent to the ten horns of Daniel 7, I believe that they are implied to be the same. The fourth beast of Daniel 7 and the feet of the statue of Daniel 2, of course, both represent the Roman Empire. Since a normal human being has ten toes and the fourth beast of Daniel 7 is explicitly said to have ten horns, I believe that the ten toes and horns symbolize the same thing. Daniel 2:33 says that the feet of the statue are “partly of iron and partly of baked clay.” As explained in Daniel 2: A Preterist Commentary, the clay of the feet of the statue represents Israel (Isaiah 64:8, Jeremiah 18:6). (See also In the Bible “Earth” Signifies the Specific Land Addressed While “Sea” Symbolizes Foreign Nations.) Conversely the iron component of the feet represents Rome.11 Because the feet of the statue appear to be partly Israelite and partly Roman, I believe there may also be a Roman component to these ten horns/toes as well. Jerusalem fell during the reign of the tenth Caesar, Vespasian. Perhaps the mixture of iron and clay in these toes implies that there may be more than one set of ten toes and horns? Let us examine the notion that the ten horns could also symbolize ten Caesars in the same way that the seven heads of the beast are said to symbolize both the seven hills of Rome as well as seven kings in Revelation 17:9-10. But others, on the contrary, disagreed–including Titus himself. They argued that the destruction of the Temple was a number one priority in order to destroy completely the religion of the Jews and the Christians: For although these religions are conflicting, they nevertheless developed from the same origins. The Christians arose from the Jews: With the root removed, the branch is easily killed (Sulpicius Severus says the following in Chronica 2:30.7). In his account of the Jewish War, Josephus portrays Titus as an unwilling participant in the burning of the Temple. In this regard, Sulpicius Severus is almost certainly to be believed over Josephus. Titus’ unwillingness to destroy the Temple in The Wars of the Jews seems unreasonable since it could have later been used by the Jews as a fortress in future rebellions. And the Jews would certainly rebel again as long as they hoped for a Messiah who was sovereign king of Israel. This is why Titus wanted to destroy the religion of the Jews and Christians. And Titus believed he could do this by just destroying the Temple as the Law of Moses was predicated on the existence of this structure. Furthermore, the Temple would certainly be used again as a fortress for these Jewish rebels in future Roman rebellions. Furthermore, Titus’ order to kill everyone in the city while the Temple lay burning makes his unwillingness to destroy a mere building shockingly peculiar. Titus’ fabricated unwillingness to destroy the Temple in Josephus’ writings is not surprising as Titus and Vespasian were Josephus’ patrons. Vespasian feared assassination.15 And this fear was justified as the three Roman emperors who immediately preceded him suffered this fate. And just like these three men, Vespasian could not legitimize his rule by appealing to his family heritage as Vespasian was also not part of the Caesar family line. Thus Vespasian needed something to justify his right to rule in the eyes of the Roman people and used his military success in Palestine toward this end. Written in A.D. 75, just one or two years after the end of the Jewish War at the fall of Masada, The Wars of the Jews was a book commissioned by the Flavians to highlight their successes in the war in Palestine for the conspicuous purposes of political propaganda. In other words, this book was commissioned by the Flavians as a tool to bolster public support and galvanizing Vespasian’s right to rule which would naturally deter potential rebellions and usurpers and thus alleviate Vespasian’s understandable fear of assassination.16 And there was no better candidate to write this history than Josephus who needed no heavy persuasion in order to paint the Flavians in as favorable a light as possible as Josephus was an eyewitness to the war as well as one of Titus’ and Vespasian’s closest friends.17 Therefore, Josephus was both politically pressured and personally motivated to paint these two in as favorable light as possible. Thus, not surprisingly, in The Wars of the Jews, Titus and Vespasian are portrayed much more favorably than they are in Jewish and Christian tradition as is exemplified in this chapter. A Preterist Interpretation, Explanation and Commentary of Daniel 7:21-25: The Saints of Daniel 7:21-25 appear to be Jews as the Christian Saints are Said to be Taken Care of for This SAME Period of Time in Revelation 12:13-16. Notice that the little horn is said to wage war against the saints and defeat them (Daniel 7:21-22) and that this was to be for “a time, times and half a time” (Daniel 7:25). Then in Revelation 12:13-16 the dragon pursues the Christian saints but they escape and are taken care of for “a time, times and half a time” while the earth (i.e. the people of the earth, Israel) take the brunt of the punishment. If the saints whom the little horn makes war with and defeats of Daniel 7:21-22, 25 are Christians, then there appears to be a contradiction between these vs. and Revelation 12:13-16 which depicts the earth swallowing the devil’s assault while the Christian saints are said to escape. Now wait a minute! How could the “holy ones” just denote Israel generically if Daniel 7:18 says that these “holy ones” would receive and possess the kingdom forever? “But the holy people of the Most High will receive the kingdom and will possess it forever.’” (Daniel 7:18) Daniel 7:27 is very similar: “Then the sovereignty, power and greatness of all the kingdoms under heaven will be handed over to the holy people of the Most High.’” The fact that “Israel” (used generically) is said to inherit the kingdom of God is also stated in Acts 1:6: “Then they gathered around him and asked him, “Lord, are you at this time going to restore the kingdom to Israel?” [Emphasis mine.] Then in Acts 1:7, Jesus replies, “It is not for you to know the times or dates the Father has set by his own authority.” Notice that Jesus affirms that “Israel” was to inherit God’s kingdom, He does not correct His disciples and say, “I will give my kingdom to Christians.” Jesus does not correct His disciple’s terminology as Christians (whether Jew or Gentile) are Israel in a true spiritual sense (Romans 2:28-29; 11; Galatians 6:15-16). The “forty-two months” or three and a half years of Revelation 13:5 is the interval in which Titus and Vespasian fulfilled all of the following predictions laid out in vs. 5-8. 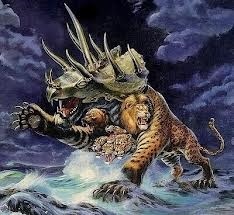 Concerning the fact that the beast of Revelation 13 is said to “blaspheme God, and to slander his name and his dwelling place” again links Daniel 7 with the beast of Revelation 13 as the little horn is said to do the same in Daniel 7:25. Shortly we shall address all the blasphemies Titus is recorded to have said and did against God recorded in Jewish tradition. The fact that “[a]ll inhabitants of the earth” were said to “worship the beast—all whose names have not been written in the Lamb’s book of life” (v. 8) was jointly fulfilled in the fact that after Titus presided over the worship of the ensigns (images of Caesar and Rome) in the Temple he ordered his soldiers to “henceforth spare no one”19 in the city. Thus the Romans then went on a killing spree throughout Jerusalem attempting to kill everyone who would not worship the beast explicitly fulfilling Revelation 13:8. Preterism and Daniel 7 and 8: Who is the Little Horn? There are many secular-minded commentators who see the little horn in this chapter as Antiochus Epiphanies. They argue that the little horn in this chapter is mentioned again in the following chapter, Daniel 8, where he is described in additional detail. Though I agree that the little horn of Daniel 8 is Antiochus Epiphanies, I cannot see how the little horn of Daniel 7 could be said to accurately describe Antiochus Epiphanies. According to 1 and 2 Maccabees, Antiochus Epiphanies, like Caesar Titus according to Sulpicius Severus, tried to put an end to the practice of the Law. 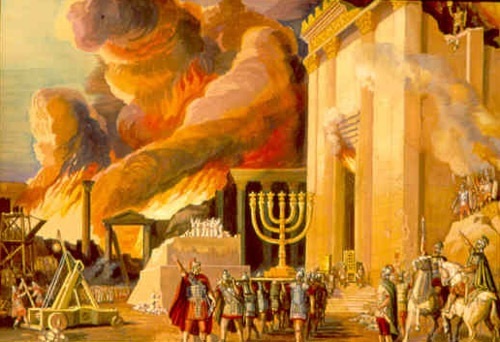 Antiochus Epiphanies did this by seizing the temple in Jerusalem, desecrating it, and forcing the Jews to disregard the customs of the Law while adopting Greek religion and customs. As is the case with the prophet Elijah who according to Malachi 4:5 was to return in power and spirit at end of the age, I believe the same might be said concerning Antiochus Epiphanies. I believe that Antiochus Epiphanies returned in power and spirit at the end of the age in Caesar Titus who also set up an abomination that causes desolation and ultimately succeeded where Antiochus Epiphanies failed by putting an end to the practice of the Law forever. I believe this notion adds an additional layer of depth to Revelation 17:8-3. Though as explained in the commentary on Revelation 17, the beast who once was now is not and yet will come signifies the rise of the Flavian Dynasty that restored peace and unity to the Roman Empire, this title also seems to me to implicitly point to a Caesar Titus/Antiochus Epiphanies connection. The beast who once was could also be said to be Antiochus Epiphanies while the beast who yet will come signifies his return in power and spirit as Caesar Titus. 25He will speak against the Most High and oppress his saints and try to change the set times and the laws. The saints will be handed over to him for a time, times and half a time. 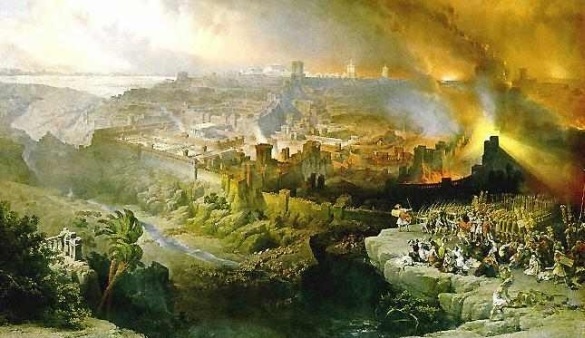 Preterist Eschatology and Commentary of Daniel 7:25: “A Time, Times and Half a Time” is Three and a Half Years, the Interval between the Arrival of Titus and Vespasian in Israel to lead the Roman army during the Jewish War to the Fall of Jerusalem. The Imago, or Image, was a three dimensional bust of Caesar Vespasian and/or Titus. Imago of Legion XXIV representing no particular emperor. Joe and Thomas Perz, assigned to the Legion’s Mid-West Vexillation. 2006. A Preterist Exposition and Commentary of Daniel 7:25: Titus was likely Worshiped in the Temple in Jerusalem in Fulfillment of Daniel 7:25 and 2 Thessalonians 2:4. Vespasian sent Titus who said, “Where is their God, the rock in whom they trusted?” This was the wicked Titus who blasphemed and insulted Heaven. What did he do? He took a harlot by the hand and entered the Holy of Holies and spread out a scroll of the Law and committed a sin on it. He then took a sword and slashed the curtain. Miraculously blood spurted out, and he thought that he had slain God himself, as it says, “Thine adversaries have roared in the midst of thine assembly, they have set up their ensigns for signs. [. . . .]” Titus further took the curtain and shaped it like a basket and brought all the vessels of the Sanctuary and put them in it, and then put them on board ship to go and triumph with them in his city. This, however, is not the only recorded instance in which Titus spoke and acted blasphemously against God. While on his way back to Rome Gittin 56b of the Babylonian Talmud also records Titus issue the following boastful challenge to the God of Israel: “If he is really mighty, let him come up on the dry land and fight with me.” In this blasphemous challenge, one can appreciate how Titus truly did “speak against the Most High” with “a mouth that spoke boastfully” as predicted in v. 8 and 25. Titus destroyed the Temple in A.D. 70. This act made it impossible to follow the Law fulfilling Daniel 7:25. But others, on the contrary, disagreed–including Titus himself. They argued that the destruction of the Temple was a number one priority in order to destroy completely the religion of the Jews and the Christians: For although these religions are conflicting, they nevertheless developed from the same origins. The Christians arose from the Jews: With the root removed, the branch is easily killed. Why did Titus “try to change” the Law of Moses and want to “destroy completely the religion of the Jews and Christians”? Titus wanted to do this for one simple and obvious reason. As long as the Jews and Christians hoped for a Messiah (a sovereign king of Israel) there would never be peace with Rome. Titus wanted desperately to destroy this hope as it was the only way to have a lasting peace between Israel and Rome. Daniel 7:25 A Preterist Commentary: Titus intended to Destroy Christianity and Judaism by Destroying the Temple. Titus’ Father, the Emperor Vespasian, ordered all Those of the Messiah’s Bloodline to Killed. In these and other ways, the Saints were handed over to the Beast. Daniel 7:25 A Preterist Commentary: Did Josephus back up his Claim that Vespasian was going to be Emperor by showing him Daniel 9:26? And if He did this would certainly Explain why Titus Wished to Change or Destroy the Law. Above I addressed some of the historical evidence that Titus wished to destroy the Law including the fact that he saw it as a means with which to reduce the risk of future insurrections. With all that being said I think the main reason Titus and Vespasian wished to end the Law in fulfillment of v. 25 was so as to intentionally fulfill Daniel 9:26. Why would Vespasian and Titus wish to fulfill Daniel 9:26? After being captured by the Romans, Josephus predicted that Vespasian would soon become emperor of Rome. Of course, Josephus said this to save his life. However, it is interesting to note that not long after Josephus made this prediction, Vespasian seriously considered trying to usurp the throne. What inspired him to take such a risky move? Jay Rogers believes that Josephus galvanized his prediction that Vespasian would soon be emperor (and thus greatly increasing his chances to stay alive) by showing Vespasian and Titus Daniel 9:26: “The people of the prince who is to come will destroy the city and the sanctuary.”27 This v. implies that a prince and future king was to destroy the Temple in Jerusalem. Interestingly, not long after Josephus made this prediction Vespasian sent Titus to Galba assuming and hoping that Galba would adopt Titus as his heir thus making Titus whom Vespasian later left in charge of destroying Jerusalem and its Temple a literal prince. When that failed, Vespasian began to make plans to ascend to the throne himself and named Titus his successor. Thus, Titus was granted the title “prince” in A.D. 69. Afterwards Titus was immediately sent back to Jerusalem with a large army with orders to subdue the city while also presumably being instructed to destroy the Temple. Why might Vespasian and Titus wish to destroy the Temple which would have consequently ended the Law? If Prince Titus destroyed Jerusalem and its Temple and thus ended the revolt in Judaea not only could they use this military victory as a means to ingratiate themselves with the Roman people, they could also cite this victory as the fulfillment of an ancient prophecy and further legitimize their reign to the Jews and superstitious Roman mob alike. After all Vespasian and Titus needed all the help they could get in this area as this father and son were not members of the Caesar family line and the three emperors who preceded them who were also not part of the Caesar Dynasty where quickly assassinated. 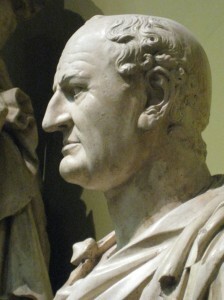 Not surprisingly, Vespasian was often believed and stated to be the Jewish Messiah throughout his reign.28 Here it appears that Vespasian and Titus wished to destroy the Temple and as a consequence end or change the Law in fulfillment of v. 25 as a means to fulfill a prophecy which would cause them to seize a divine fate that would make them emperors and at the same time legitimize their reign in the minds of their equally superstitious subjects. Daniel 7:26-27 A Preterist Commentary: Daniel 7:27 is Fulfilled at the Resurrection of the Saints to Heaven. It is also Fulfilled on Earth. 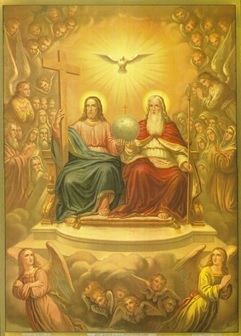 As stated above, Christ rules the world from a heavenly throne. And as explained above, it is in heaven that the saints after experiencing biological death also ultimately rule with Christ in fulfillment of Daniel 7:27 (Philippians 3:20; Revelation 2:10; 3:21). But the fifth kingdom, the Messianic Kingdom also known as the kingdom of heaven, also exists on earth with the saints who are destined for heaven after death (Luke 17:20-21). As will be explained in detail below, the rule of the saints was not limited to heaven, it also spread to the earth with the Christianization of Israel and the rest of the Roman Empire. Daniel 7:26-27 A Preterist Commentary: The Fifth Kingdom is a Spiritual Kingdom (Luke 17:20-21, 1 Corinthians 15:50). The Fifth Kingdom; Christianity, the Kingdom of God; took Firm Root at the Destruction of the Temple in A.D. 70 which Marked the Fulfillment of the Law and Establishment of the New Covenant. This occurred during the Reign of the Tenth Caesar, the Tenth Horn of the Ten-Horned Beast. When the Temple was destroyed in A.D. 70, this event marked the end of the Old Covenant and the beginning of the New Covenant; Christianity, the kingdom of God. After the Temple was destroyed it became impossible to fully follow the Law of Moses from that point on. This fact was the ultimate sign that Christianity, the New Covenant, had fulfilled and replaced the Law of Moses, the Old Covenant. The destruction of the Temple also made it possible for Christianity to flourish in Israel unimpeded. And as a result the people of Israel and especially Jerusalem grew to become almost exclusively Christian during the thousand years between the Jewish War and the First Crusade (see The Historical Appearance of Christ at the Death of the Beast Fulfills 2 Thessalonians 2:8 and Revelation 19:19-20). Daniel 7:27 A Preterist Commentary: Christianity became the State Religion of Rome. The Saints Inherited the Kingdom. In the above preterist commentary on Daniel 7, the name of the little horn is revealed to be Caesar Titus and every prophecy in Daniel 7 is shown to be miraculously fulfilled! Stephen R. Miller, Daniel, 198. Cited in Duncan W. McKenzie, Ph.D., The Antichrist and the Second Coming: A Preterist Examination Volume 1: Daniel and 2 Thessalonians (USA: Xulon Press, 2009), 108. John Phillips, Exploring the Book of Daniel, The John Phillips Commentary Series (Grand Rapids: Kregel Publications, 2004), 114. A careful comparison of the Gospels reveals that Jesus used these names interchangeably. Jessie E. Mills, Jr., Results of Fulfilled Prophecy, (Bradford, PA: International Preterist Association, Inc., 2001), 115, 143-44. Max R. King, The Spirit of Prophecy, (Colorado Springs: Bimillennial Press, 2002), 232. Those who argue that Daniel 7:13-14 was fulfilled at the ascension will often cite Luke 19:11-15. In this parable Jesus clearly states that He was to go away to heaven to receive His kingdom before returning to enact judgment at the time of His Parousia. When Jesus ascends into heaven in a cloud to receive His kingdom (Daniel 7:13-14) appears to be witnessed in Acts 1:9-11. Here the disciples see Jesus rise up to heaven before being received by a cloud. This is exactly what is depicted in Daniel 7:13-14. In these vs. Jesus, the son of man, approaches the Father in heaven in a cloud. The fact that Jesus had been given dominion at this time is illustrated in Acts 7:56. In Acts 7:56 Stephen sees Jesus at the right hand of the Father implying that He had received dominion and power at that time. Though Jesus appears to have been granted dominion over heaven and earth after His ascension, I believe that Jesus’ dominion may not have fully been established until Satan had been cast out of heaven. Revelation 12 explicitly indicates that during the first century, Satan’s throne was in heaven. 2 Corinthians 4:4 echoes this point by calling the devil the “god of this age”: “The god of this age [Satan] has blinded the minds of unbelievers . . .” Satan is called the God or prince of this world or the god of this age in several places throughout the Bible including Ephesians 2:2; John 12:31; and 14:31;16:11. John 12:31 states, “Now is the time for judgment on this world; now the prince of this world will be driven out.” If Satan was the God of the Old Covenant Age and his throne was in heaven at that time, how could Jesus have acquired all dominion and power until Satan was finally cast out of heaven? Satan is finally cast out of heaven during a war in heaven according to Revelation 12:7-10. Interestingly, a vision of a war in heaven was seen at the start of the Jewish War in A.D. 66, this vision of a war in heaven implies that Revelation 12:7-10 was fulfilled at that time. (Josephus The Wars of the Jews 6.5.3, Tacitus The Histories 5.13.) Interestingly, Jesus appears to have made an appearance in the clouds of heaven at exactly that time. For details see Jesus, the Son of Man, was Seen in the Clouds in A.D. 66. What about 1 Corinthians 15:24-28? I believe that the “dominion, authority and power” that Jesus destroys in v. 24 is the Devil and his power over death (Hebrews 2:14). Once this feat is accomplished and Christ hands the kingdom over to the Father, then His dominion under the Father is firmly established and uncontested. Though Daniel 7:13-14 may have been fulfilled upon Jesus’ ascension, I believe there is a way in which these verses also seem to point to the Parousia. Acts 1:11 indicates that the Parousia was to bear a strong resemblance to the ascension. After the disciples saw Jesus rise up to heaven in a cloud, an angel told them, “This same Jesus, who has been taken from you into heaven, will come back in the same way you have seen him go into heaven (Acts 1:11).” In other words, at least some aspect of the Parousia would mirror the ascension. I believe that an event exactly like what is described in Acts 1:9-11 occurred again during the Parousia of A.D. 70. It is this event which so closely resembles the ascension that may also be depicted in vs. 13-14 in a sort of secondary fulfillment. For Biblical evidence that a man, presumably Jesus, visibly rose up to heaven before being obscured by a cloud in A.D. 70 see the preterist commentary on Revelation 11. Josephus The Wars of the Jews 2.20.3-4. Josephus The Wars of the Jews 5.1.1. It is also possible that the ten toes are said to be partly iron (Roman) and partly clay (Israelite) in order to symbolize the fact that one of the original ten horns Josephus b. Matthias later defected to Rome, the iron part of the statue. As stated above, these horns may also be Roman governors or client kings. Vespasian was once the governor of a province in Africa. After the Emperor Nero’s death and before Vespasian’s rise to power, three Caesars were killed in one year. These three men, Galba, Otho and Vitellius were also all governors of Roman provinces immediately before becoming Caesar. Galba was the governor of Spain, Otho was the governor of Portugal, and Vitellius was the governor of lower Germany. Suetonius Lives of the Twelve Caesars 10.4; 7.11; 8.3; 9.7. In v. 24 the little horn is said to subdue three kings. It is often thought that this v. implies that the little horn was to be actively involved in subduing or killing the other three horns. However, this is not what is pictured or stated in the original languages. The word translated “subdue” in v. 24 is ONLY translated “subdue” in THIS verse. Everywhere else this word appears it is translated “humbled” or “humble.” The word translated “subdue” in this verse is shephel which means “to be low.” In the NIV translation quoted in this commentary, v. 24 seems to depict the little horn subduing three kings. However, in the original languages what this v. actually pictures is the little horn growing in size such that it stands above the other three horns as is previously indicated in v. 20: “and the meaning of the ten horns that were on its head and the other horn which came up, and before which three of them fell, namely, that horn which had eyes and a mouth uttering great boasts and which was larger in appearance than its associates [emphasis mine].” (NASB.) When the little horn increases in size so as to make the other horns look “to be low” it is not because the little horn has actively subdued these kings. Instead, the little horn makes these other horns look “low” because it becomes larger. The fact that the little horn grows in size to make the other horns look small by comparison is a common Biblical symbol of exaltation and humility. In the Bible to be high or raised-up is to be exalted and to be made low is to be humbled (Genesis 14:18; 1 Samuel 18:5; 2 Samuel 22:28; Job 5:11; 40:11; Psalm 18:27; 36:7; 49:2; 112:9; 136:23; 148:14; Proverbs 29:23; Ecclesiastes 10:6; Isaiah 2:9, 11, 17; 10:33; 14:8, 12; 23:9; 26:5; 52:13; Jeremiah 16:6; Ezekiel 17:14; 21:26; Dan 2:48; 5:19). The fact that the little horn grows in size to stand above the three previous horns paints a metaphorical picture of this “little” horn being more exalted and lofty than its three predecessors. This was fulfilled when the little horn, Titus, who had not yet became emperor was ultimately given the title Caesar at his father’s coronation and them later ultimately became emperor of Rome while Galba, Otho and Vitellius were all overthrown and murdered the year in which Titus’ father became emperor. The fact that Titus, the little horn, is called “little” in this chapter is as stated above because all the deeds attributed to him in Daniel 7 were performed by him prior to becoming the high and mighty emperor of Rome. 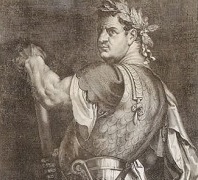 However, Titus is exalted and thus metaphorically grows in size when he is given the title Caesar at Vespasian’s coronation and then after Vespasian’s death succeeds his father as the next emperor of Rome. Nero Caesar did not name his successor so, not surprisingly, after his sudden death in June of A.D. 68 there was a succession struggle. After Nero’s death, four rivals fought each other to fill the emperor’s seat: Galba, Otho, Vitellius and Vespasian. 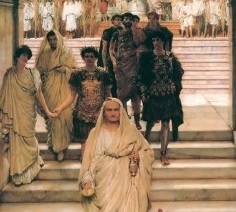 The fact that Titus humbles three kings refers to the fact that the Flavians; Vespasian, Titus and Domitian who were all declared Caesar at Vespasian’s coronation; succeeded in this succession struggle after the death of Nero and though Titus did not actively subdue any of these three kings himself, Titus had humbled his three rivals; Galba, Otho and Vitellius; by succeeding alongside his father in the succession struggle to become Rome’s new prince and next emperor. See the preterist commentary on Revelation 12:15-16. Suetonius Lives of the Twelve Caesars 10.7. John S. Evans, The Four Kingdoms of Daniel: A Defense of the “Roman” Sequence with AD 70 Fulfillment, (USA: Xulon Press, 2004), 407. Josephus The Wars of the Jews 6.6.3. It is also possible that this verse foretells of the Neronic persecution of the A.D. 64. During this time, Christians were fed to dogs, set on fire and crucified. Though the exact duration of this persecution is not known, it is possible that this persecution may have extended three and a half years until the Gallic revolt. Over time many Romans became sympathetic to the harsh way in which Christians were being treated, and the public began to resent the young emperor for having sanctioned these executions. Perhaps this persecution ended in January of A.D. 68 at the start of the revolt in Gaul? This revolt weakened Nero’s grip on Rome, and the populace became increasingly defiant. Sensing the increasing loss of public loyalty, Nero may have ceased Christian executions so as not to increase public displeasure while catering to his concerns of being deposed. The duration between the start of the Neronic persecution in July of A.D. 64 until the Gallic revolt in A.D. 68 is almost exactly three and a half years. Tacitus Annals 55.44. Suetonius Lives of the Twelve Caesars 11.5. Midrash Rabbah Lamentations Proems 25. Duncan W. McKenzie, Ph.D., The Antichrist and the Second Coming: A Preterist Examination Volume 1: Daniel and 2 Thessalonians (USA: Xulon Press, 2009), 118. Hersh Golwurm, History of the Jewish People: The Second Temple Era, ArtScroll History Series, eds., Nosson Scherman and Meir Zlotowitz (Brooklyn: Mesorah Publications, 1982), 200-201. Cited in Duncan W. McKenzie, Ph.D., The Antichrist and the Second Coming: A Preterist Examination Volume 1: Daniel and 2 Thessalonians (USA: Xulon Press, 2009), 119. Eusebius The History of the Church 3.12. Jay Rogers, In The Days of These Kings: The Book Of Daniel In Preterist Perspective, (Clermont, FL: Media House International, 2017), 585. Josephus The Wars of the Jews 6.5.4; Suetonius Lives of the Twelve Caesars 10.4; Tacitus The Histories 5.13; Eusebius The History of the Church 3.12. I looked on the Web for the number of caesers and who was what number and according to some of them, Titus was the 10th caeser, not 11th. How did you arrive at Titus being the 11th caeser and not the 10th? Do you have evidence and a list of caesers to prove your point? Yes. This list in the link above leaves out the very first, Julius Caesar, who was killed immediately after declaring himself emperor for life. The list of Caesars generally starts with Julius, not Augustus. For example, the first century historian Suetonius in his historical chronicle “the Twelve Caesars” rightly begins his list with Julius. How one can begin this list of Caesars without Julius is perplexing. Julius was the first in the family line and all others adopted his family name afterwards like Augustus etc.